WEST LAFAYETTE, Ind. — Grammy-Award winning comedian Bill Cosby will perform in West Lafayette at Purdue University’s Elliott Hall of Music at 8:00p on September 24th, 2010. Bill Cosby returns to Purdue on September 24, 2010. As one of America’s most beloved entertainers, Bill Cosby has charmed generations of fans with his hilarious stand-up routines, iconic albums, best-selling books and groundbreaking television programs. His trademark brand of warm, conversational comedy transcends age, gender, and cultural barriers as he spins side-splitting tales about the joys and struggles of family life, relishing the humor in everyday occasions and making mundane moments outrageously funny. Cosby got his start in the 1960s, when his popular stand-up act spawned a string of best-selling comedy albums that went on to win eight Gold Records, five Platinum Records, and five Grammy Awards. His Emmy-winning role on TV’s “I Spy” made him the first African-American to co-star in a dramatic series. 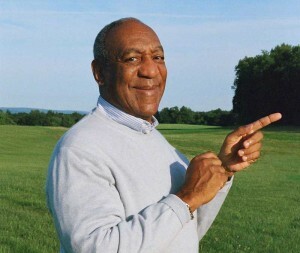 And in the ’80s, his hugely successful series “The Cosby Show” single-handedly revived the family sitcom. The recipient of the 2002 Presidential Medal of Freedom and the 2009 Mark Twain Prize for American Humor, Cosby has also been recognized for his generous philanthropic efforts. But the comic arguably is most well known simply for his uncanny ability to connect with people’s hearts. Tickets are $38-$45 for adults and $28-$32 for children 18 years and younger, Purdue students and Ivy Tech Lafayette students. Tickets are available at the Elliott Hall and Stewart Center box offices at 765-494-3933 or 800-914-SHOW. Tickets are also available through Ticketmaster outlets.